The Shiromani Akali Dal (SAD) and Bharatiya Janata Party (BJP) on Friday demanded complete loan waiver for all farmers including labourers and Dalits. A SAD-BJP delegation urged Punjab governor VP Singh Badnore to direct the Congress led state government to implement a complete Rs 90,000 Crore farm loan waiver for all farmers. The delegation also urged the governor to ask the state government to get all sacrilege cases during the previous SAD-BJP government and present Congress tenure inquired by a sitting judge of the Supreme Court (SC). The delegation also urged the governor to direct the state government to register a criminal case against the Sanaur leader Harinderpal Mann for allegedly instigating Congress workers to murder their Akali counterparts. The joint delegation, which was headed by SAD president Sukhbir Singh Badal and BJP state president Vijay Sampla accused the state government for betraying farmers by refusing to honour its commitment to implement a complete loan waiver. The delegation said besides ensuring a complete loan waiver, the governor should enjoin the government to waive of all loans of farm labourers and the dalit community also. 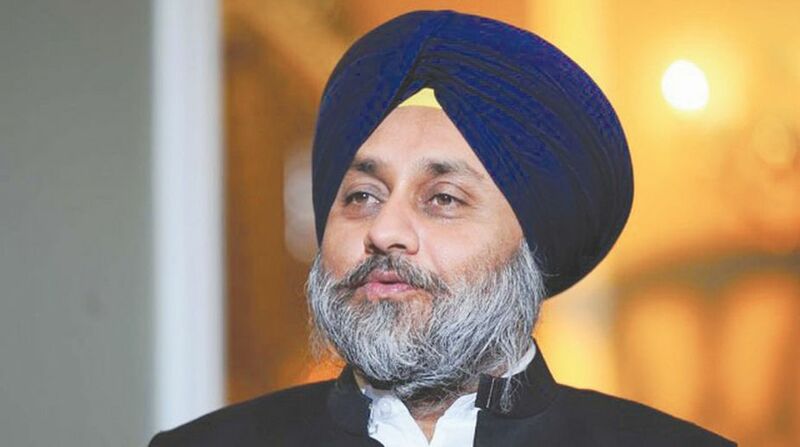 Sukhbir Badal said only a limited loan of a few per cent of the indebted farmers was being considered for waiver despite Cabinet decisions. He said that small farmers who had incurred a loan of more than Rs Two Lakh had been kept out of its ambit and even marginal farmers with 2.5 acres of land were virtually kept out of the scheme. The delegation leaders, including SAD Member of Parliaments (MPs) Sukhdev Singh Dhindsa and Prem Singh Chandumajra, said, suicides by farmers, which had already reached the 350 figure mark, were increasing by the day. Meanwhile, in a separate memorandum, the SAD-BJP delegation also urged the governor to ask the state government to set up an inquiry headed by a SC sitting judge to go into all cases of sacrilege of Guru Granth Sahib during the tenure SAD-BJP government and the present government. It was alleged in the memorandum that inquiry was being presently done by a Justice (retd) Ranjit Singh, who had always worked to further the interests of the Congress party and had always discriminated against the SAD. The delegation alleged the contents had been prejudged by both the Chief Minister (CM) Amarinder Singh and Punjab Congress chief Sunil Jakhar before the commission had submitted its report.